My first verse novel(The Day Before) was by Lisa Schroeder, and I have been a forever fan since. Now I have come across a couple that weren't quite to my taste, but thanks to Schroeder I have given into the hype of Ellen Hopkins and other verse novels and have not been disappointed yet! Schroeder takes you through a hauntingly beautiful story about a girl still picking up the pieces from her mothers death while her father moves on remarrying and is getting ready to welcome a new baby into the world(which Alice is not happy about!). 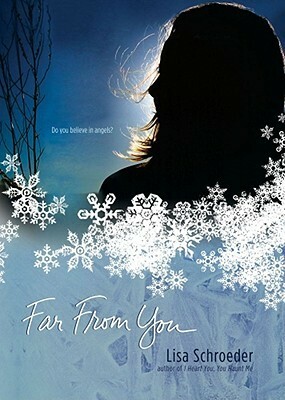 While stuck in the car with her stepmother and baby sister on a snowy afternoon, Alice falls asleep only to wake up stuck in the middle of nowhere, buried deep inside the eye of the blizzard with her Step-Mother and newborn baby sister. It takes a while before Alice and her Stepmother's survival mode kick in, and during that waiting game we are given wonderful moments between the two. It's a terrifying and ugly situation that they are stuck in, but we are given tiny moments of beauty during that dark time. Schroeder's writing style makes it easy for the words to jump off the pages and craft themselves into a haunting, yet stunning story right before your very eyes. Another verse book going into the success pile! Lisa Schroeder has a fan in me, and I will always look forward to her future work! Can John Green to any wrong? Honestly?! How he comes up with these unforgettable characters and tug at your heart-strings story lines is beyond me. This man truly has a talent. He has a way with words that leave your in complete awe. 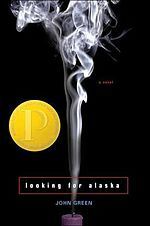 I absolutely adored The Fault in Our Stars, so when I picked up Looking for Alaska my expectations were high...I was not disappointed! Miles was such an absolutely blast to read, get to know, and befriend. Not only did I like him as I character, I cared for him! Green crafted a beautiful character inside Miles. Alaska stole my heart. She has these lovely moments where she would drop her guard briefly and let you in, but would quickly bring her walls back up. I loved those small moments, and although they were brief, they showed a lot of the true person she was. Those moments were small, yet very powerful! Of course, like The Fault in our Stars you will need a tissue...or two...Okay, maybe a box, or even one of those small travel packs close by. You will cry! I'm not talking about, a lone tear spilling dramatically out of your eye, and slow rolling down your cheek; I am talking about ugly, snot-producing crying, heaving, snorting. You will cry, and cry hard my friends! I still have to read The Fault in Our Stars, but I've heard nothing but absolute ravings about it, so I'm excited to find it, but I'm even more excited about this Alaska one. Thanks for the heads up!